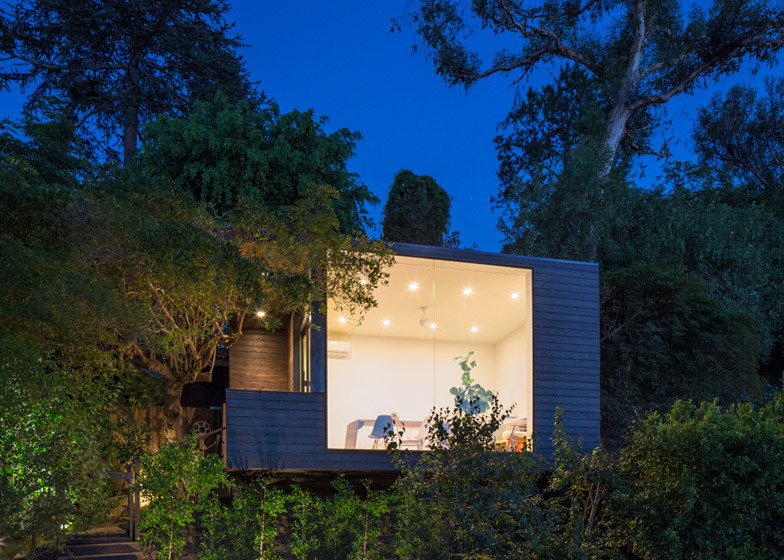 A small writing studio designed by Aaron Neubert Architects on a hill in Los Angeles frames views of the Griffith Observatory and other landmarks through a room-sized picture window (+ slideshow). 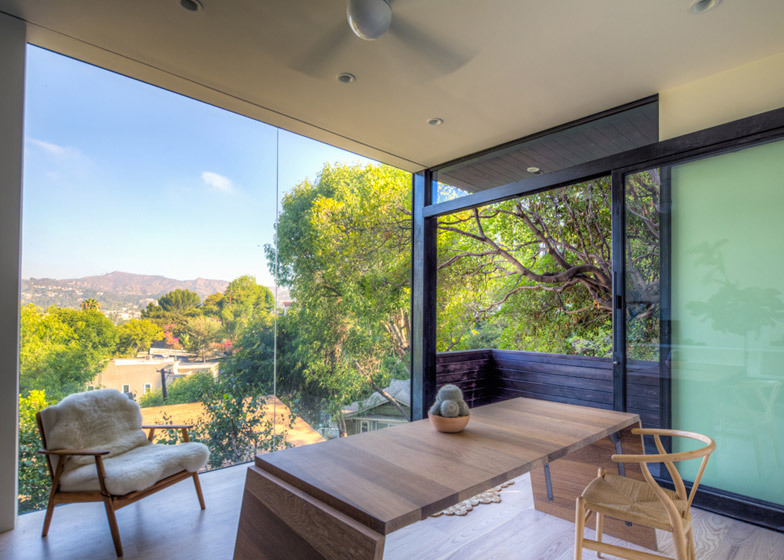 The 200-square-foot (18.5 square metres) studio by LA-based Aaron Neubert Architects (ANX) is located in the Franklin Hills neighbourhood and serves as a workspace for a technology columnist and author. 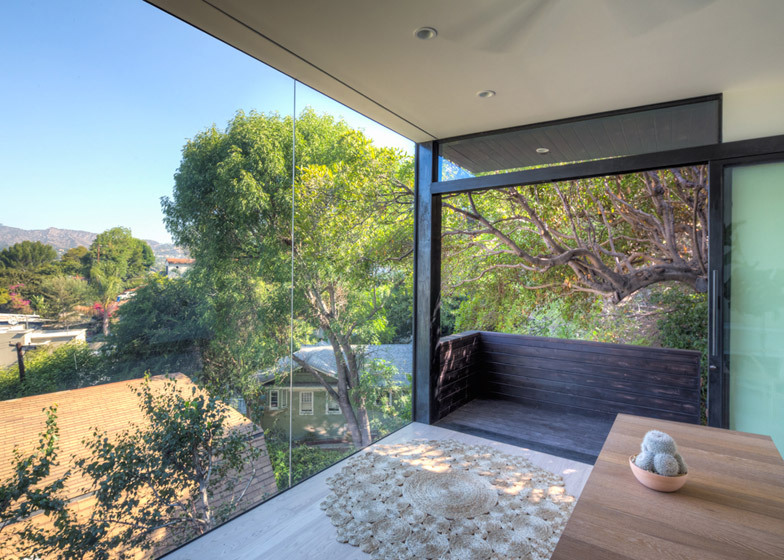 The dark-stained redwood and blackened-steel structure features a 10 foot by 12 foot (3 meters by 3.6 meters) window wall. "I was interested in producing a simple sculptural gesture hovering over the landscape," Aaron Neubert told Dezeen. 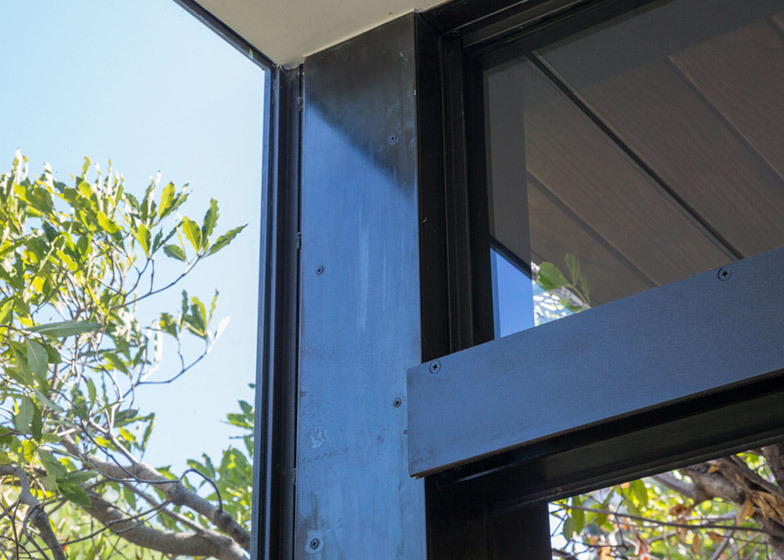 "The idea of an oversized picture window carved from a simple box was interesting for its capacity to reflect the sky during the day, illuminate the property at night, and present a spectacular view from its interior." 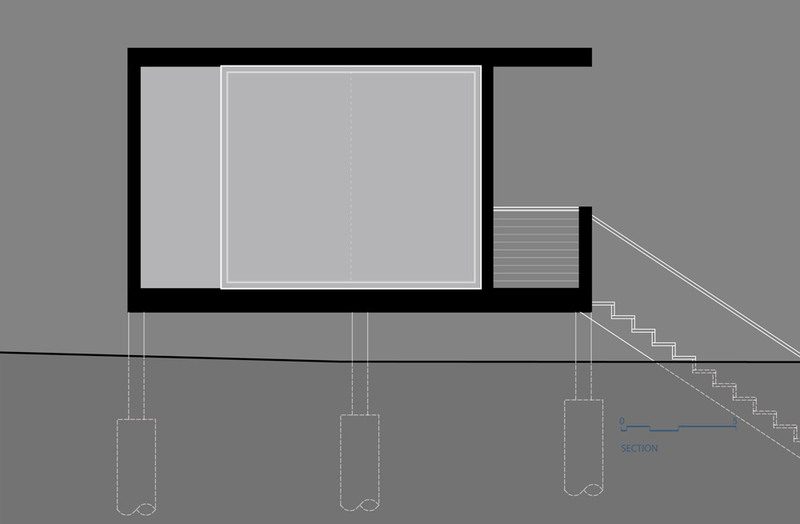 The studio is located behind the client's existing residence. 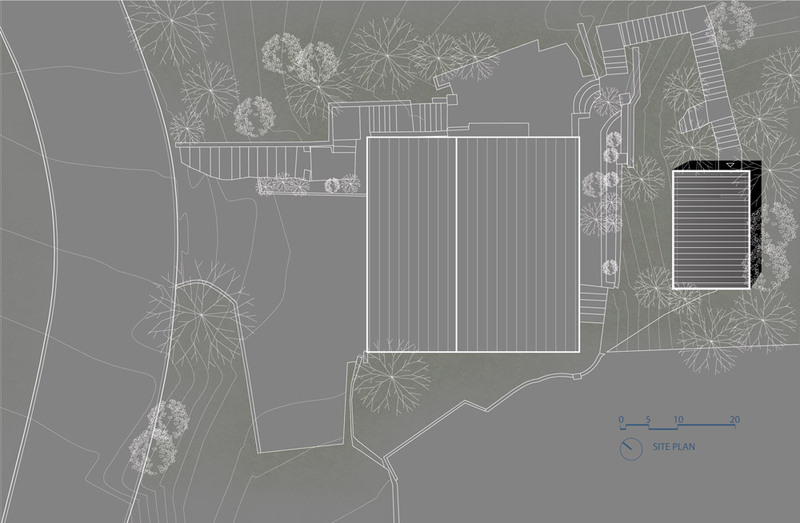 The steeply sloped site is terraced, with the new structure placed at the highest tier. 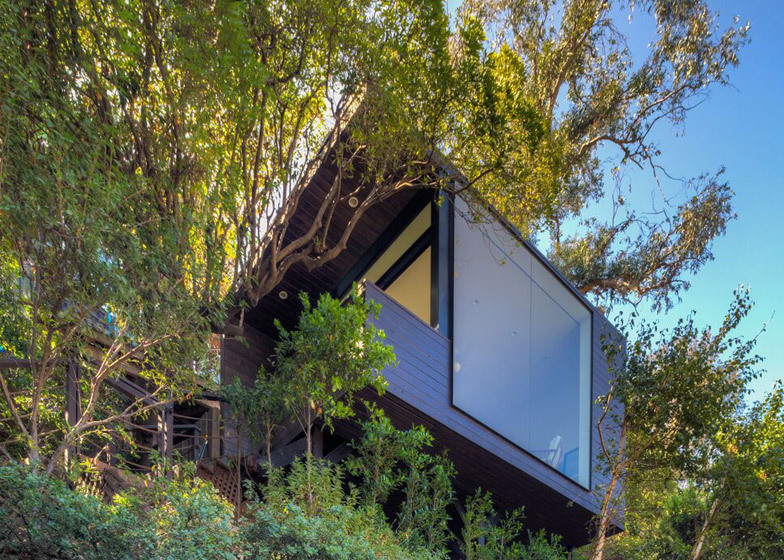 Due to the steep terrain, the architect and his builder hung the two large glass sections – which together comprise the window – off the roof of the structure and then lowered them into place. One was broken during installation and had to be replaced and rehung. Visitors climb the steps up the hill and then turn around to face the view. 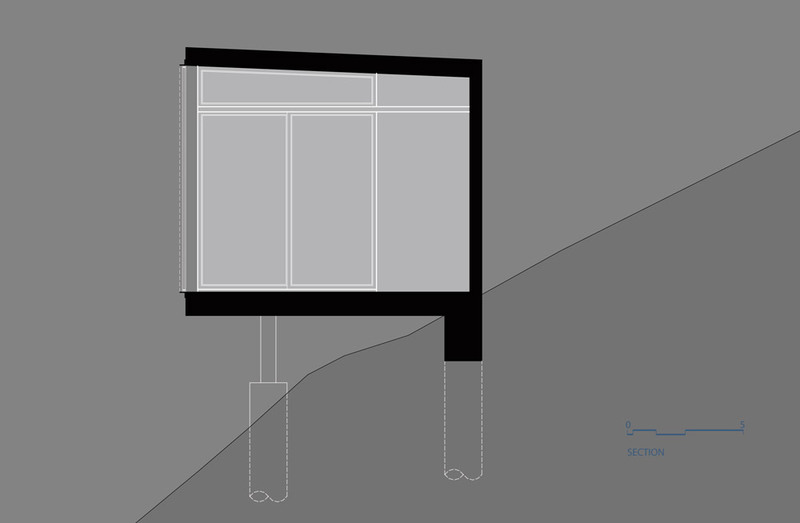 They enter the studio from the side through a large sliding glass door, making the corner of the studio almost entirely transparent. "The position of the studio and the arrival sequence creates the desired separation between home life and work life," said the architect. The all-white interior is simply furnished with a pale-coloured desk and chairs. 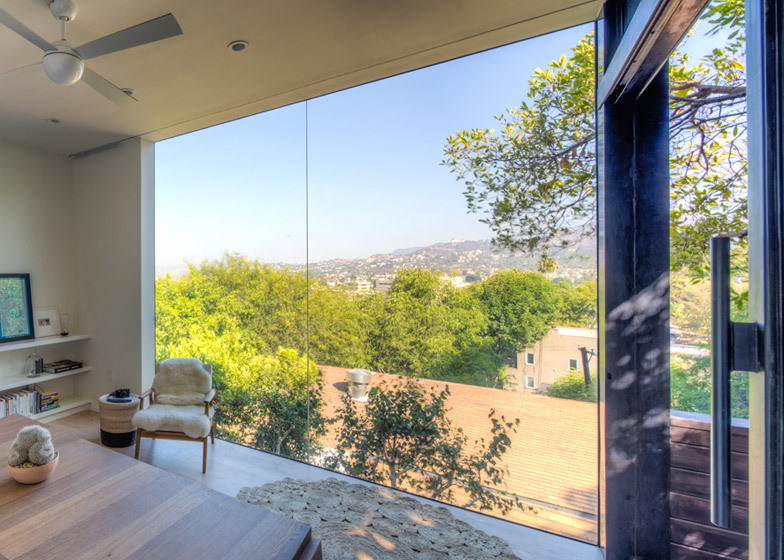 The uncluttered space is designed to further emphasise the views. 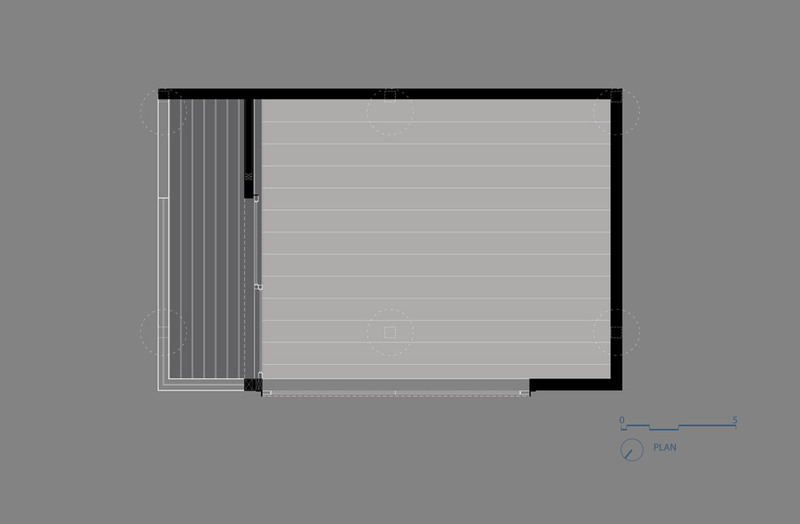 The studio has proven so popular with the client that his wife has asked Neubert to design a workspace for her as well. The simplicity and purity of artist studios make them an appealing typology for architects, one open to countless interpretations – like this concrete bunker in Chile or this building in Scotland with quilted zinc cladding.